At least two people died and other 24 have been injured in a mass shooting at the Route 91 Harvest festival in Las Vegas. 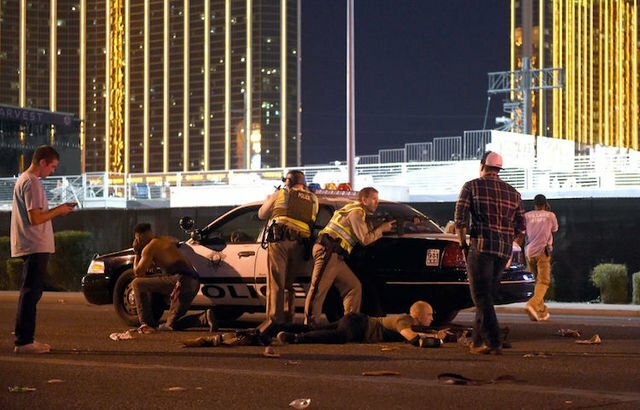 A gunman opened fire at an open-air country music festival at the Mandalay Bay Hotel on Las Vegas Strip. According to police, a suspect “was down”. There are reports of at least one other incident on the Las Vegas Strip. The shooting took place at around 22:30 local time. Witnesses reported that hundreds of shots were fired.